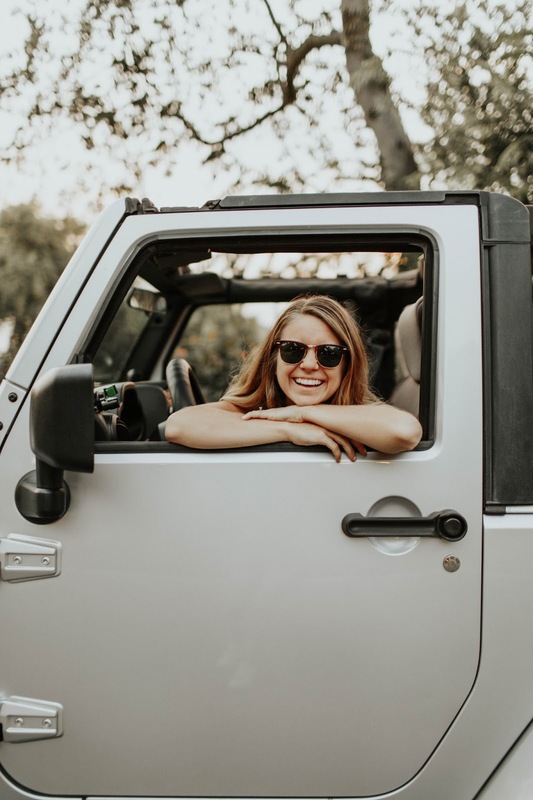 Do you ever have projects on your list just waiting around until you get the time to make them? 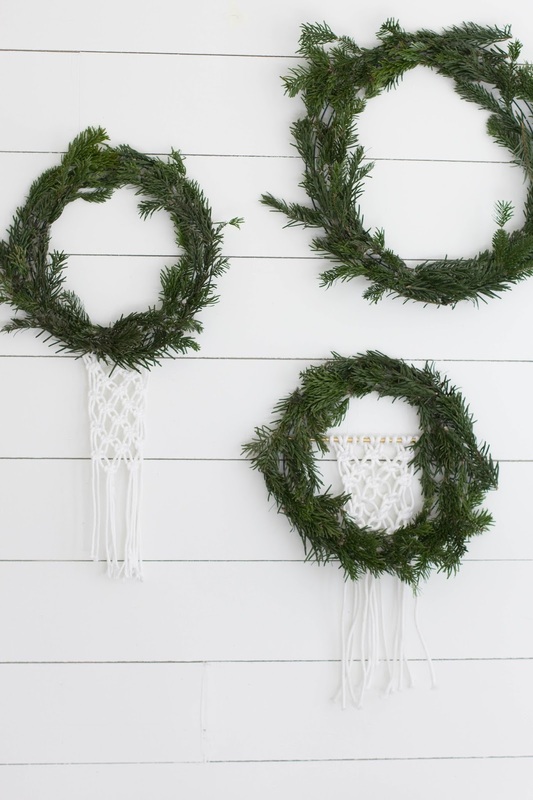 These macrame wreaths have been on my DIY list since last December! 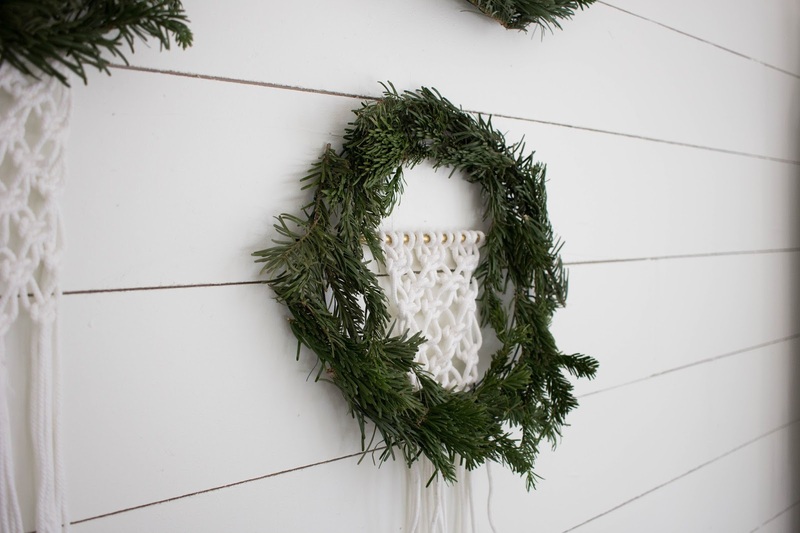 The Holidays are the busiest time for my shops and our little family, so it leaves little room to work on new things. 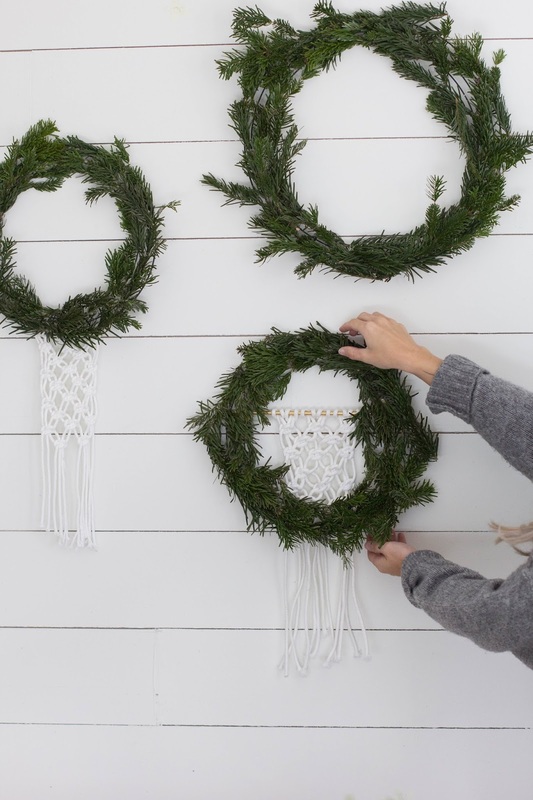 Luckily, these were so easy to whip up so I could make them in the midst of shipping orders! They were made in about 20 minutes each from tree trimmings and I think they look great in my workspace. Process: Measure 6, 5 foot strands of cotton piping and cut. 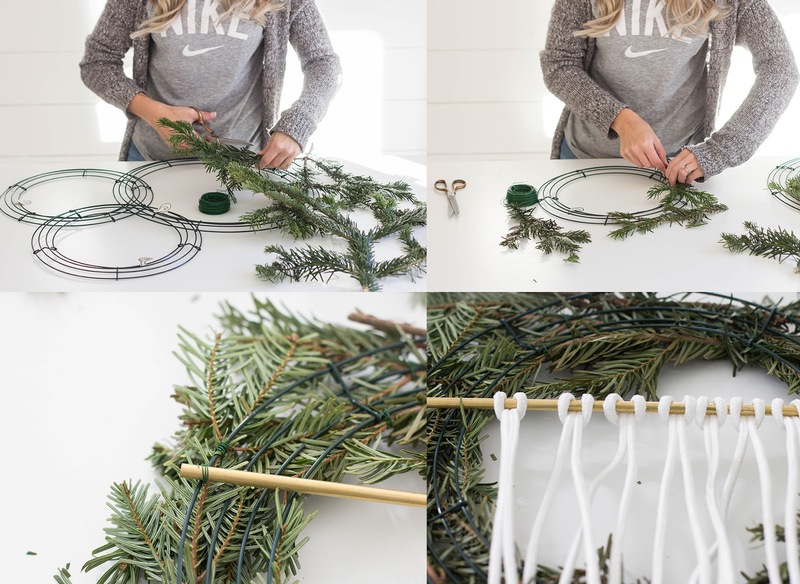 Fold each strand in half and loop through the bottom of the wire hoop. Repeat with the five remaining strands of piping. Create a square knot design with the cotton piping strands until you've reached a desired length. Trim the ends of the piping. 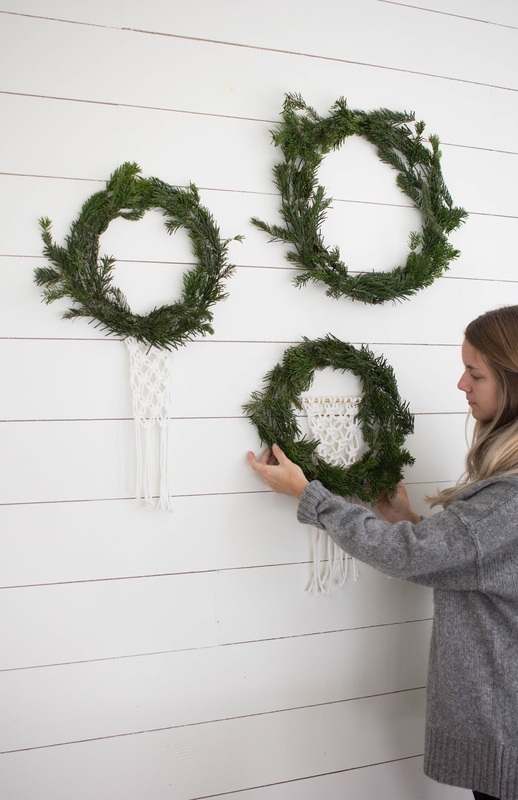 Now, finish out the wreath by adding tree trimmings to your hoop with floral wire. You can make this as minimal or full as you like! 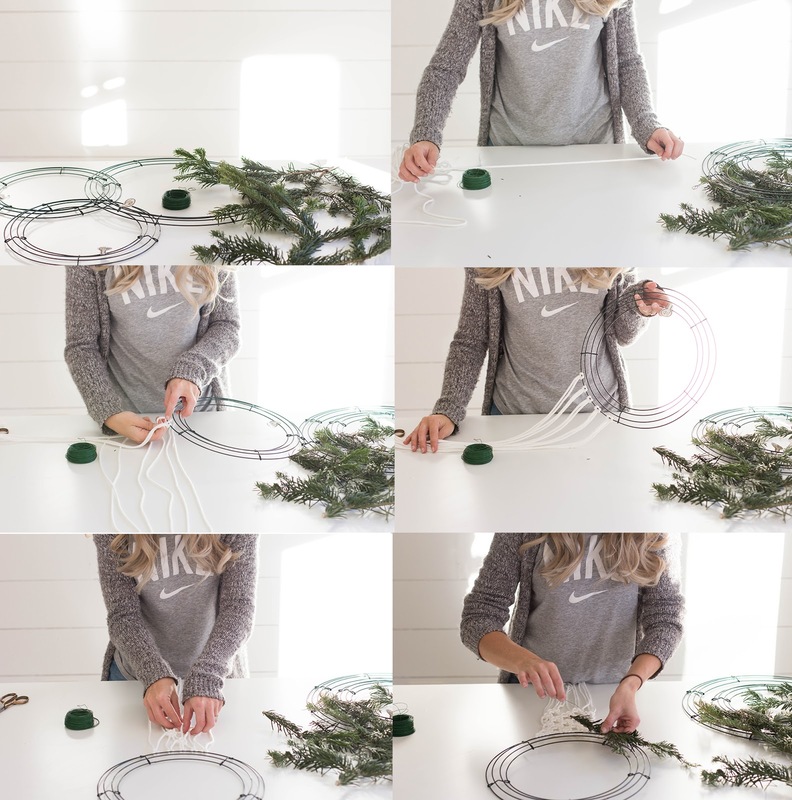 Process: Create a wreath using your floral wire and tree trimmings like above. 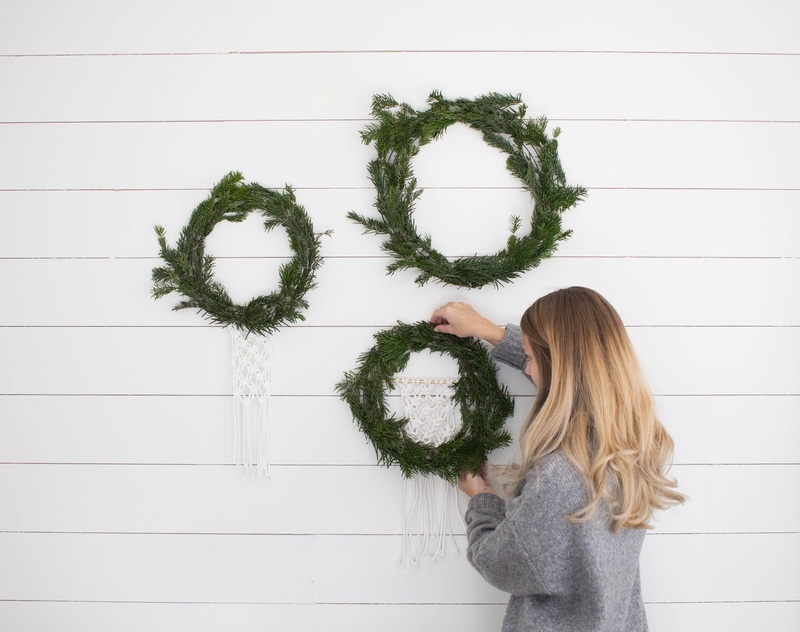 After your wreath is as full as you like, flip it over and attach your metal pipe to the back using floral wire or heavy duty glue. 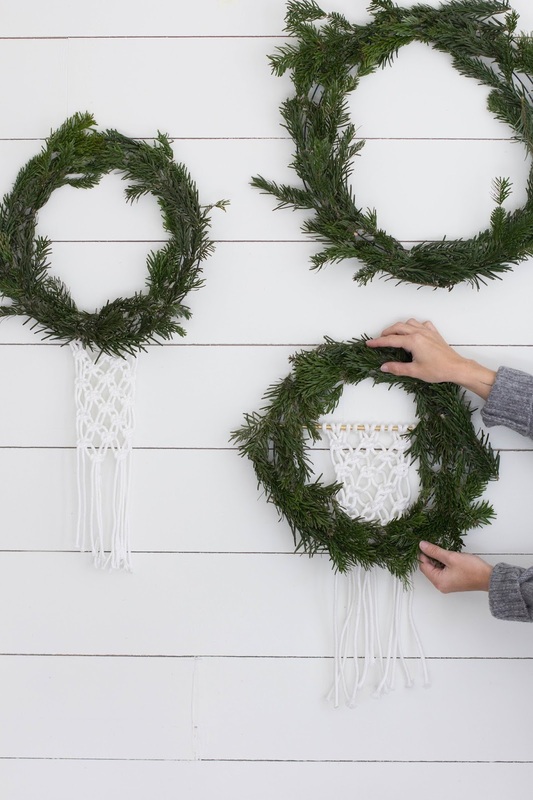 Cut 6, 5 foot strands of cotton piping and attach to the pipe by looping it around the pipe. Create a square knot design as far down as you like. Trim the piping once you are finished! Ooooh how wonderful is this little crafty thing?! I am seeing mine with turquoise beads in the middle. Oh my. I need to go craft shopping.